CIC Now in Alabang! - Gateway to Canada | Canada Immigration Consultancy! 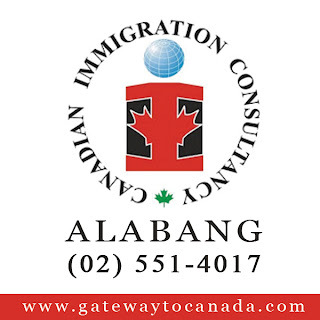 Canadian Immigration Consultancy Alabang Office will be opened officially on May 8, 2013. Come and visit us at our new office! Canadian Immigration Consultancy - Alabang Branch is located at Unit 4, G/F New Alabang Centro Alabang Zapote Road (Alabang Junction). Near Jollibee and Red Ribbon. Interested to live and work in Canada? Find out which program is suitable for you. Attend our Information Seminar: Ways to Immigrate to Canada this coming May 18, 2013.